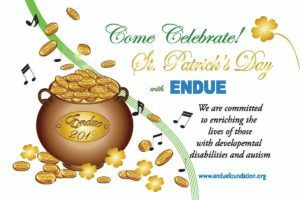 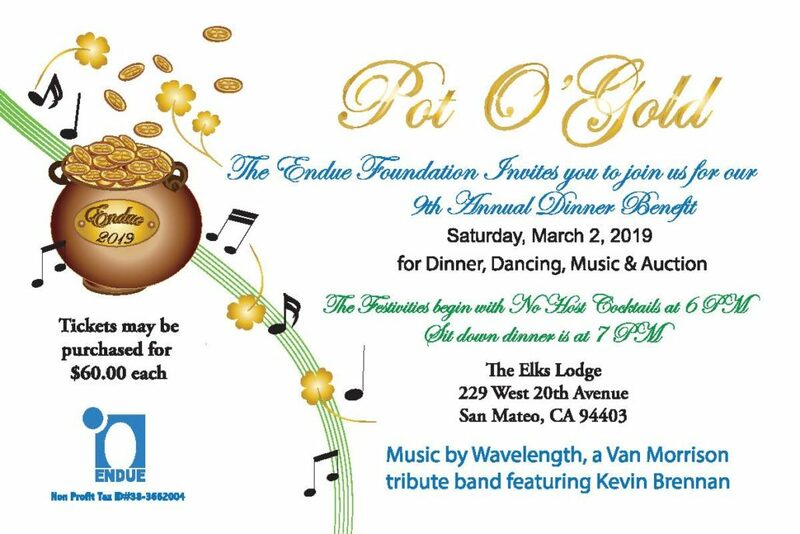 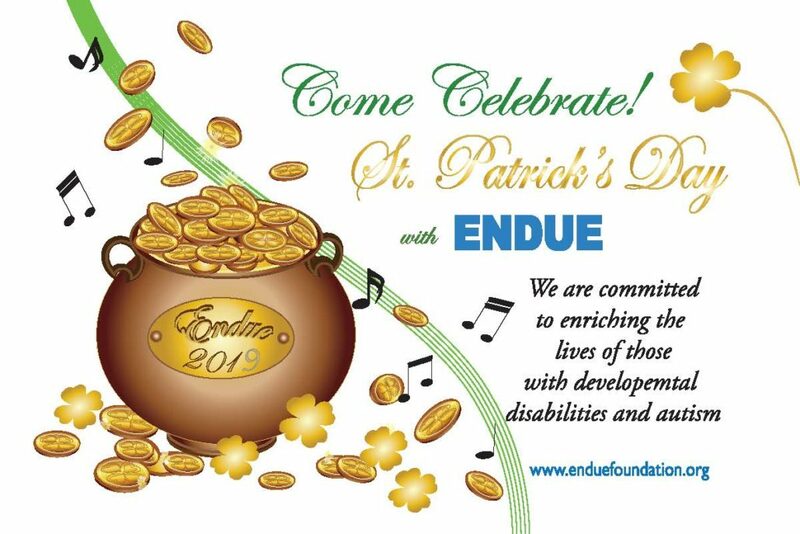 Endue Foundation will host our annual Pot O’ Gold Dinner Dance and Auction Saturday, March 2, 2019 at the San Mateo Elks Lodge. 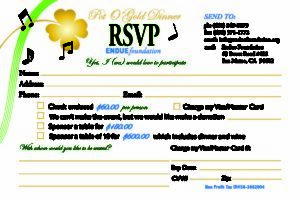 Guests will have the opportunity to mingle with old and new friends during this festive evening. 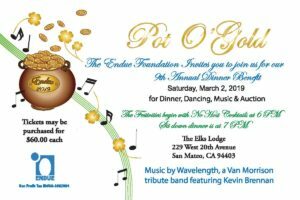 Enjoy a delicious dinner, silent and live auctions, and dancing into the wee hours with the music of Van Morrison tribute band Kevin Brennan and Wavelength. No host bar opens from 6 p.m.
Dinner seating begins at 7 p.m.
Click the images below for the official invitation and RSVP form.